Watch this 2 minute video to see how! Learn from a pro who has taught thousands of players how to win. Monthly & Yearly Members get new Strategy Episodes delivered twice a week. Know whether you played that hand the right way...or not. Make winning decisions and become confident in your game. The 30-Day Winning Blueprint is a series of information packed emails that contains everything you'll need to jump start your game and get on the path to becoming a winning poker player. During your $5 First Month, you'll have access to the first 16 Strategy Episodes from LearnWPT! Learn a comprehensive approach used by Pro Poker players to consistently win in No-Limit Hold'em. 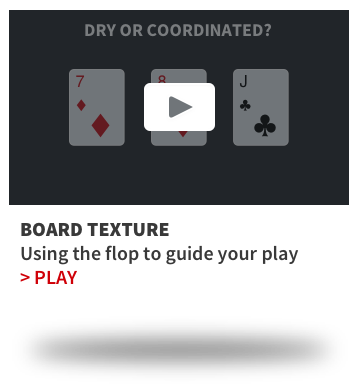 Feel more comfortable at every point in a poker hand by building an advanced game plan that will clearly guide your thinking on every street - Preflop, Flop, Turn and River. Enter your email to see the LearnWPT Live Workshop Schedule and get two free Strategy Episode.